Is Your Can Half Empty of Half Full? 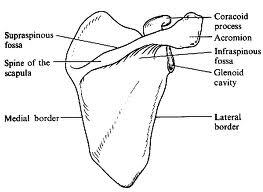 This is the first muscle of the four rotator cuff muscles that I will cover in great detail. 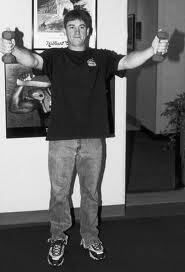 As a baseball player you have trained this muscle with a very common exercise in the baseball world known as the “empty can” drill which was popularized by Dr. Jobe. 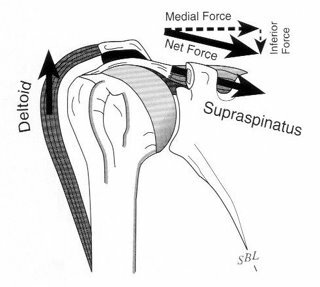 I will talk about why this isn’t the best exercise to target the supraspinatus and why we should stop doing it altogether but first let’s get into some of the geeky information about the supraspinatus. To find your supraspinatus take your left hand and reach over your right shoulder and place it on your shoulder-blade (scapula). Poke around until you find what’s known as the spine of the scapula which runs horizontally across the top of your shoulder-blade, you’re feeling around for a rigid but thin bony part of your shoulder blade. Check out the picture for a visual. Once you have your fingers on the spine of the scapula push down into it and let you fingers slide off of the spine towards the top of your shoulder-blade – you now have your fingers on your supraspinatus. The name comes from the fact that it is above the spine, supra in medical terms means superior or above. To make sure you have your fingers in the right place move your right arm away from your body just a little bit and you should feel your supraspinatus contract. 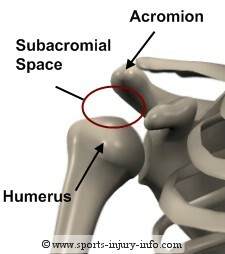 subacromial space. There isn’t much room in this subacromial space and when our shoulder doesn’t work properly this space can be further diminished which means the supraspinatus can be pinched which is obviously not a good thing to have happen. 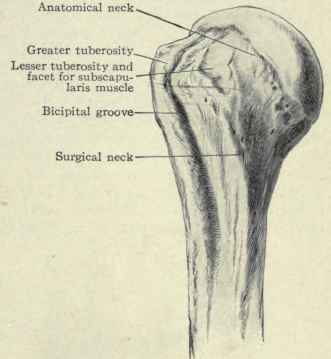 The role of the supraspinatus is to compress (pulldown) on the head of the humerus to counteract the forces of the deltoid. 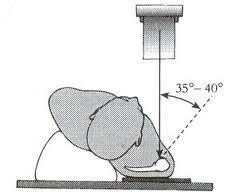 It is also responsible for the first 30 degrees of abduction (moving your arm away from your body) and it peaks in activity between 30 and 60 degrees (90 degrees would have your arm straight out to the side while zero degrees would have it next to your body hanging straight down) of abduction in the scapular plane. Finally it can generate some external rotation torque on the humerus – but not much. (Alpert et al. 2000). If I can do one thing with this blog post it would be to stop people from doing the empty can drill. Every exercise has a certain amount of risk and certain amount of reward and in the case of the empty can exercise the reward is not worth the risk. Thumbs Down for this Exercise!!!! 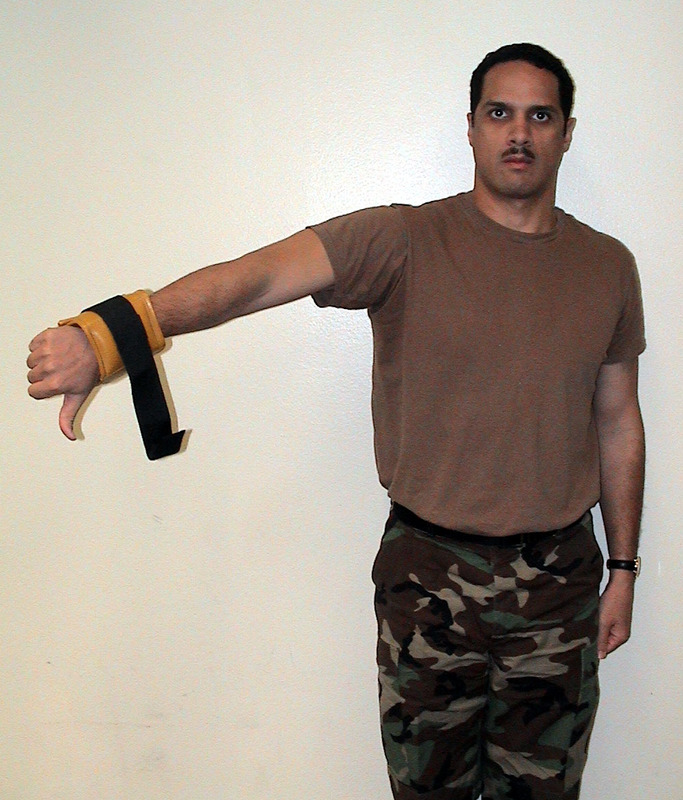 The reason the empty can is a thumbs down exercise, literally and figuratively, is when you internally rotate your arm and then lift it to shoulder height the greater tuberosity of the humerus (outer edge of the humerus) is not able to clear from under the acromion which can lead to that impingement due to a closing of the subacromial space (DeWilde et al. 2003). High Reward & Low Risk - Thumbs Up!! Dr. Jobe was the first guy to find that doing exercises in the scapular plane did a much better job of recruiting the supraspinatus than those that are done straight out to the side. The scapular plane is pretty much half between lifting your arms straight out in front and straight out to the side. The supraspinatus has also been shown to be active in exercises that are not classified as rotator cuff exercises like pushups, rows, OH med ball throws which solidify its role as a dynamic shoulder stabilizer (pulling the head of the humerus down). 5 – And for the love of god stay away from the empty can drill!!! !